Each and every day, storefront crashes take place. It’s become all-too-common place. Luckily, most of the crashes only result in property damage. But that’s not always the case. 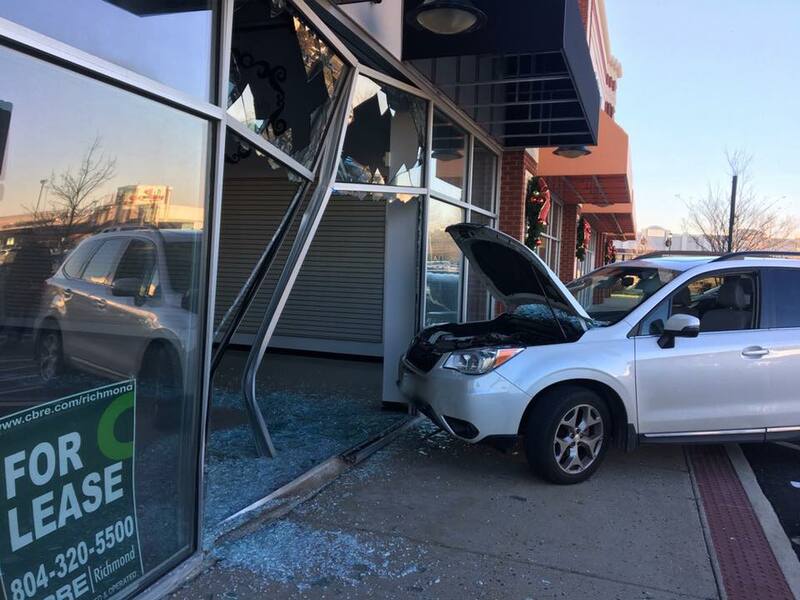 And it wasn’t just property that was damaged in Fredericksburg, Virginia when an elderly woman “lost control” of her SUV and struck a passing pedestrian through a storefront window before crashing into the storefront. According to the report from Fredericksburg.com’s Scott Shenk, the elderly woman lost control of her SUV while trying to park in a handicap spot. This loss of control resulted in the vehicle striking another woman who was walking by on the sidewalk, launching her through the store window before the vehicle hit the storefront as well. The woman who was struck by the vehicle and thrown through the glass window “suffered serious injuries” and was taken to the hospital. As for the storefront, you can see what kind of damage was caused by the accident in the picture above. It’s tough to talk about these storefront crashes, especially when pedestrians are being injured during these accidents. However, it’s just another example of why storefront protection is crucial for everyone. Both businesses and human beings should be looking for and demanding solutions to keep structures and individuals safe and protected. 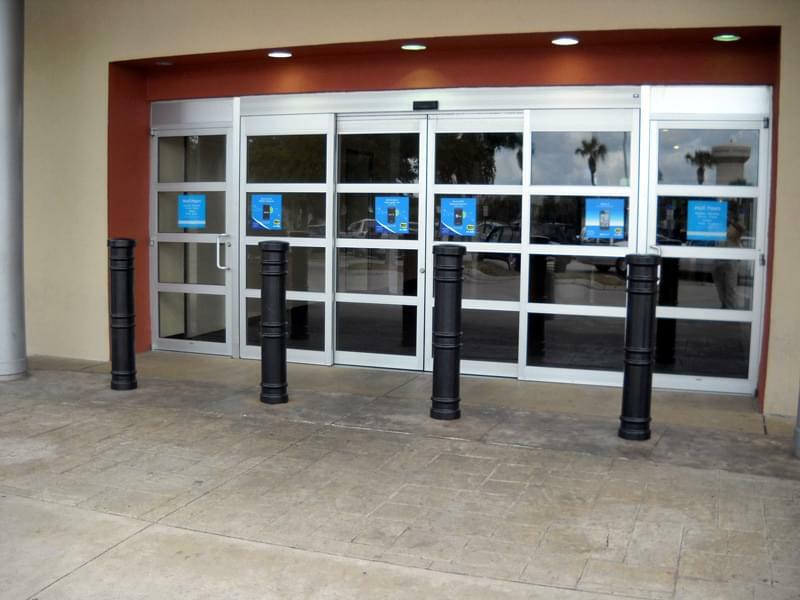 If you’re a business owner, property manager or an individual looking to increase the protectiveness of everyday locations, including storefronts, sidewalks or store parking lots, please contact Ideal Shield today. 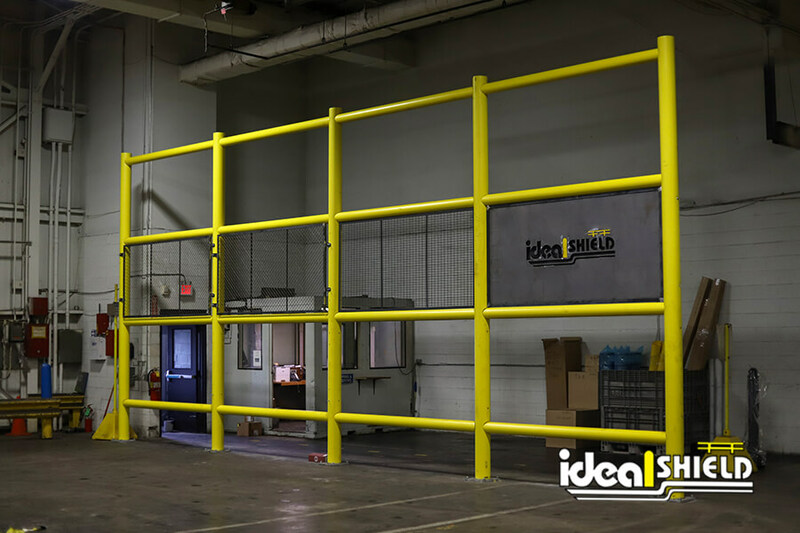 At Ideal Shield, we have the industry’s strongest and most reliable guarding products, including bollard posts and guardrails, that are perfect storefront protection solutions. For more information, you can call us at 866-825-8659 or fill out a contact form to get all of the information you may need on our storefront protection solutions.